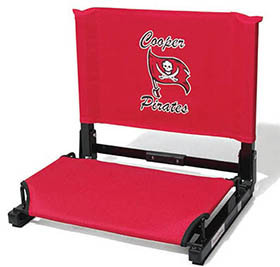 Shop > PERSONALIZED PATENTED "STADIUM CHAIR"
shipped. Additional backs can be purchased separately. Available Colors: Red, Royal, Navy, Black, Maroon, Orange, Burnt Orange, Kelly, Forest, Purple, Brown, Coumbia, Gold, Pink, Realtree™ Camo.